Maui Jim Haleiwa-328 is a Full Rim frame for Men and Women, which is made of MauiFlex. 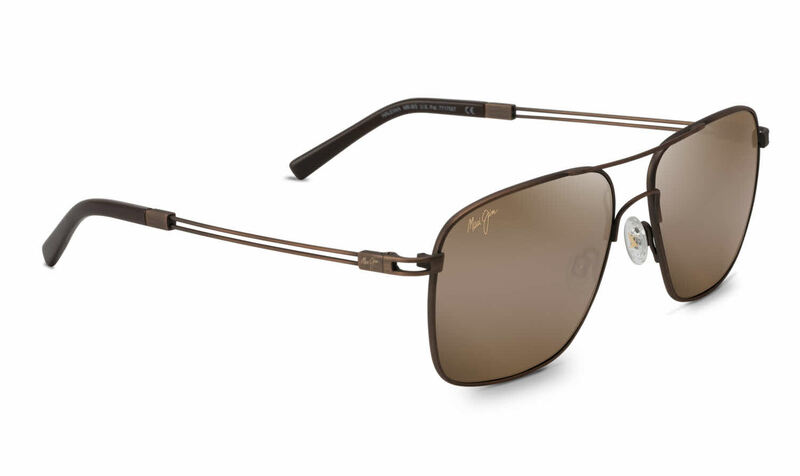 Maui FlexT is Maui Jim's proprietary memory metal. It "remembers" the wearers original fit and "flexes" back to its original shape even if it has been twisted, bent, or stretched. Maui FlexT is extremely lightweight and durable, so it is comfortable to wear throughout the day. It has a titanium / nickel base that is corrosion resistant and tough enough to resist breakage. This model features a Rectangular/Aviator shape, with a Double Bridge. Maui Jim Haleiwa-328 Sunglasses come with a cleaning cloth and protective carrying case.